Per his military service record (regimental no. 4805), William Laurence Hunt was born at Coonabarabran, N.S.W. He gave his age as 20 years and 3 months, his marital status as single, and his occupation as labourer. His description on his medical was height 5 feet 10 inches tall, weight 10 stone 12 lbs., with a dark complexion, hazel eyes, and dark hair. His religious denomination was Roman Catholic. He claimed that he had no previous military service. 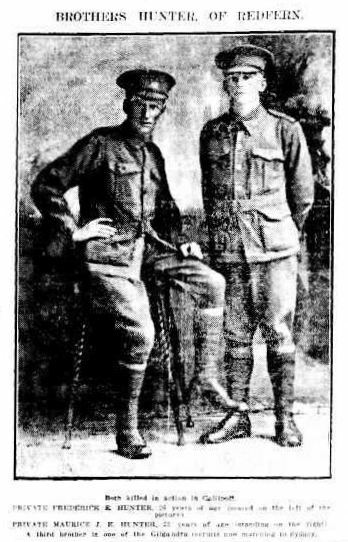 Along with his brother Jack Henry Hunt, he completed his medical on the 9th October 1915 at Gilgandra, and was attested at Gilgandra on the same day by Captain Nicholas – the day before the commencement of the Coo-ee March. His service record includes a consent form signed by his father C. H. Hunt (for persons under 21 years of age). 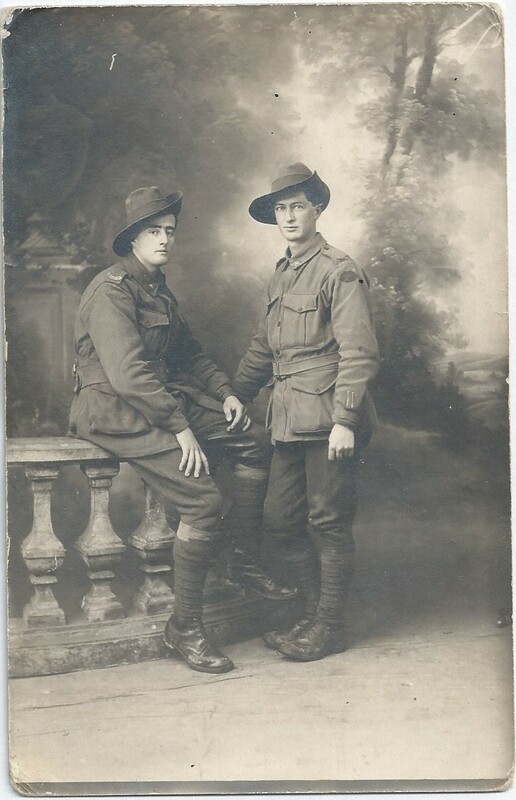 After completing the march he went to Liverpool Camp, together with his father Charles Henry Hunt (who had caught up with the Coo-ees between Bathurst and Yetholme) and brother Jack Henry Hunt, as reinforcement for the 13th Battalion. On 8th March 1916 Private Hunt along, with his father and brother, and many of the other Coo-ees, departed Sydney on the HMAT A15 Star of England, and arrived in Egypt on the 11th April 1916. On the 19th April 1916 Private Hunt was transferred to the 45th Battalion. On the 1st June 1916 Private Hunt left Alexandria aboard the Transport Kinfauns Castle bound for France, arriving at Marseilles on the 7th June 1916. Private Hunt served with the 45th Battalion through its first action at Fleurbaix, France, in July 1916. 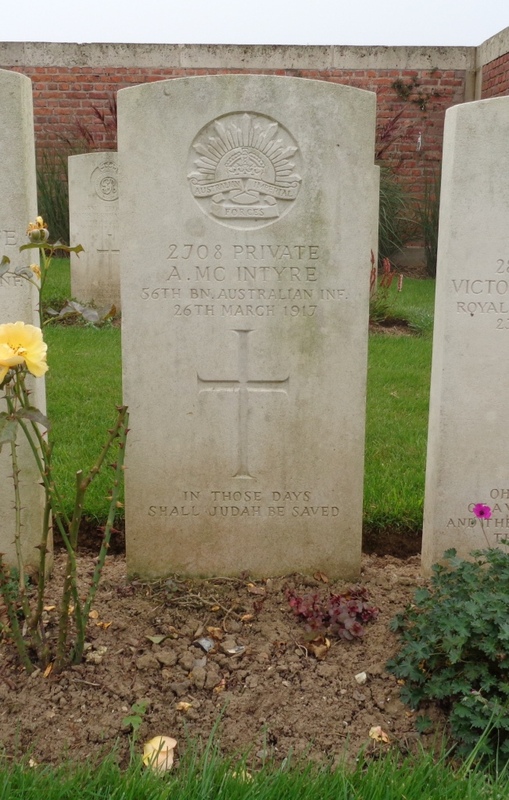 He then moved with the Battalion to Pozieres in early August 1916. On the 14th August 1916 the 45th Battalion was relieving the 46th Battalion in trenches between Pozieres and Martinpuich, France. During this relief Private Hunt was one of 15 members of the Battalion wounded. His wound was slight and he returned to the unit on the 16th August 1916. On the 7th September 1916 Private Hunt was with the 45th Battalion at Beauval, France, refitting and reorganising. On this day Private Hunt was charged with Eating Reserve Iron Ration without permission (on the same day his brother Jack Henry Hunt was charged for the same offence). He was awarded Forfeiture of One Day’’ pay. On the 24th November 1916 the 45th Battalion was holding the front line in front of Guedecourt, France. 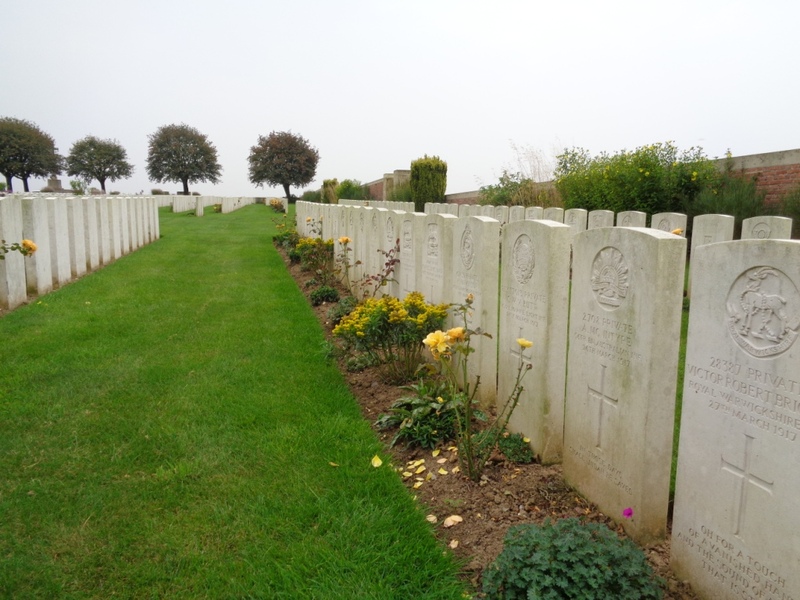 Private Hunt was evacuated to the 38th Casualty Clearing Station with trench feet. On the 25th November 1916 he was placed aboard the 7th Ambulance Train and moved to the 6th General Hospital at Rouen, France, arriving on the 26th November 1916. On the 29th November 1916 Private Hunt boarded the Hospital Ship Formosa at Le Harve for journey to England. On the 30th November 1916 he was admitted to the War Hospital at Stratford Upon Avon, England. On the 13th February 1917 he was transferred to the 3rd Australian Auxiliary Hospital at Dartford, England. On the 19th February 1917 Private Hunt was granted leave to report to the Number One Command Depot at Pernham Downs, England, on the 6th of March 1917. On the 8th March 1917 Private Hunt was charged for Being Absent Without Leave from 3.30 pm on the 6th March 1917 till 4.00 pm on the 7th March 1917. He was awarded three days confined to camp and fined two days pay. On the 16th March 1917 Private Hunt was transferred to the Number Two command Depot at Weymouth, England. On the 2nd June 1917 he was sent to the Overseas Training Depot. 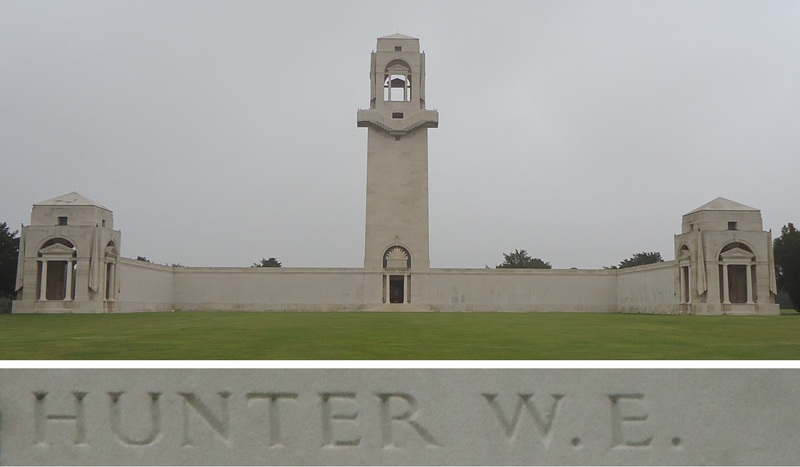 On the 25th June 1917 Private Hunt departed Southampton, England, bound for France. He arrived at Le Harve on the 26th June 1917, and marched into the 4th Australian Division Base Depot. On the 29th June 1917 he went before a Medical Board and was classified PB (Permanent Base). On the 9th July 1917 Private Hunt was sent back to England, arriving at Southampton on the 10th July 1917. He was sent to the Number Two Command Depot at Weymouth that same day. On the 22nd November 1917 Private Hunt commenced a course of instruction at the Winchester Engineering Works. On the 23rd September 1918 Private Hunt began his return to Australia, departing England on board the HMAT Runic. 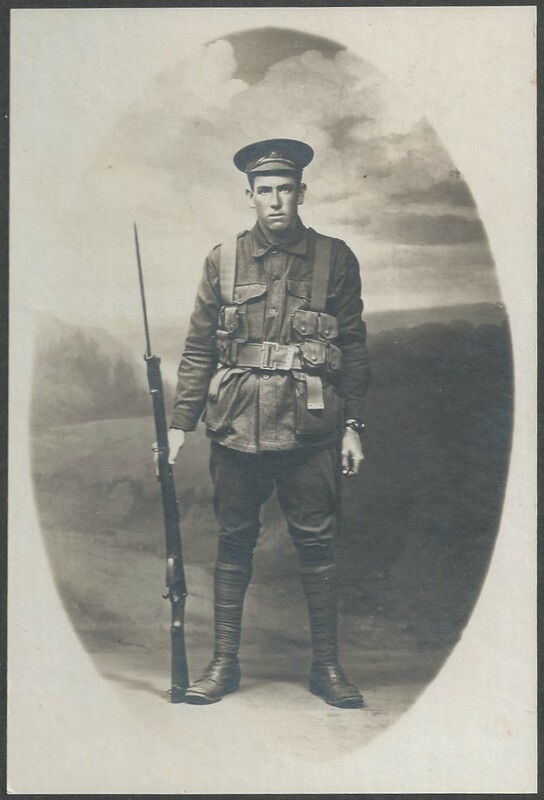 He arrived in Australia on the 27th November 1918, and was discharged medically unfit on the 31st January 1919.